Happy Holidays everybody! I’m taking my annual chicken vacation, except this time it’ll be a bit more of a working vacation, cuz I’ll be finishing up the next Laser Moose and Rabbit Boy book, Time Trout. I’ll be back on the 31st with a year-in-review post and then fresh comics starting January 1. 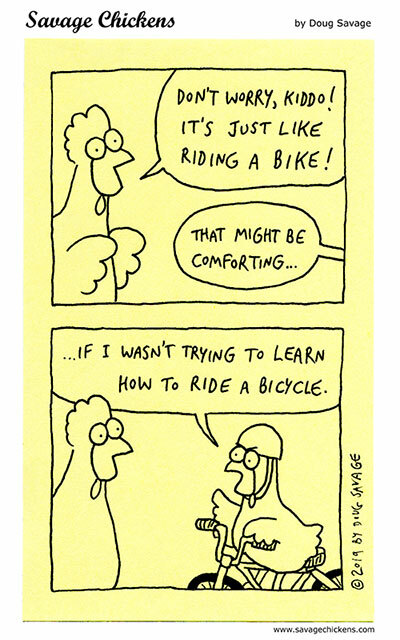 In the meantime, you can still read Savage Chickens classics on GoComics, and I might post some stuff on Instagram over the holidays. See you soon!